Loyal readers will already know that I'm a body wash fiend. At any given time, I've got about 15-20 shower gels and body washes lined up in my shower just waiting for their turn to be tried, used and loved. For the last month, most of them have been sitting there unused, because I've been pitting the Olay Ultra Moisture Body Wash with Shea Butter against the Dove Deep Moisture Nourishing Body Wash. 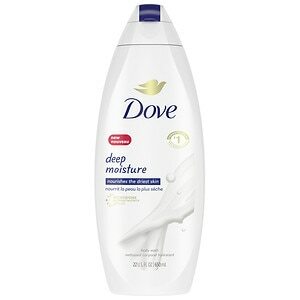 I began this challenge by using the Dove Deep Moisture Nourishing Body Wash for a week. Right away, I was struck by the intense, none too pleasant scent. It was extremely pungent, and the scent stuck with me long after I left my shower (and even my apartment). I normally flock to sweet or floral scents in my shower, and this was neither. It also seemed to lather well when I poured it onto my pouf, but once I started really sudsing up, the product disappeared. I found myself needing to reapply the body wash to my pouf by the time I reached my legs -- and this was with at least a half dollar-sized amount poured out in the first place. My skin felt a little softer after using this body wash for a week, but my problem areas (elbows and knees) were still ashy and drier than the Sahara. Contrast this with the Olay Ultra Moisture Body Wash with Shea Butter, which smells delightfully fresh and just CLEAN. It creates such a strong lather that, even with just a dime-sized amount on my pouf, I basically created my very own bubble bath! After just one use, my skin felt smooth and velvety. After a week? The rough, scaly patches on my elbows had disappeared, my knees were shining and my entire body was just one glossy expanse. Since every bottle of this body wash contains over one jar of Olay moisturizers, not to mention it's formulated with super nourishing shea butter, I'm certainly not surprised that my skin felt so amazingly smooth! 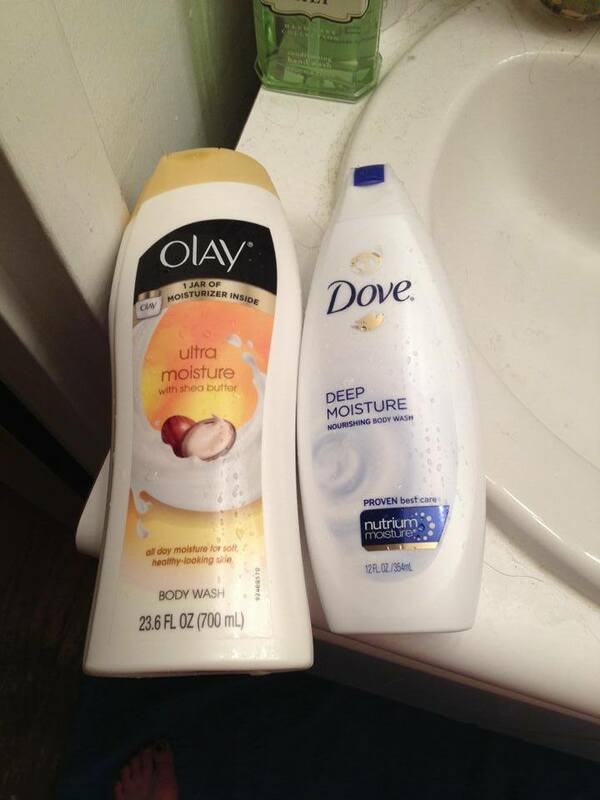 After trying both of these, I would definitely have to say that I'm much more in love with the Olay body wash. I just felt that it lathered better, smelled better and all around WORKED better. It's found a permanent home in my shower, that's for sure!